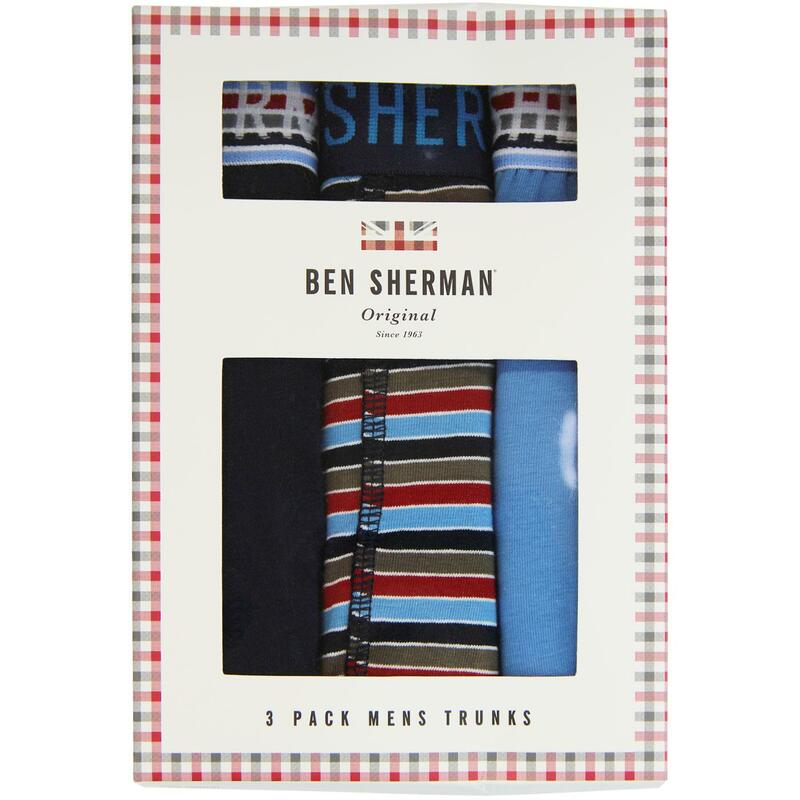 Ben Sherman 'Binks' men's retro 3 pack trunks in navy/stripe combination. 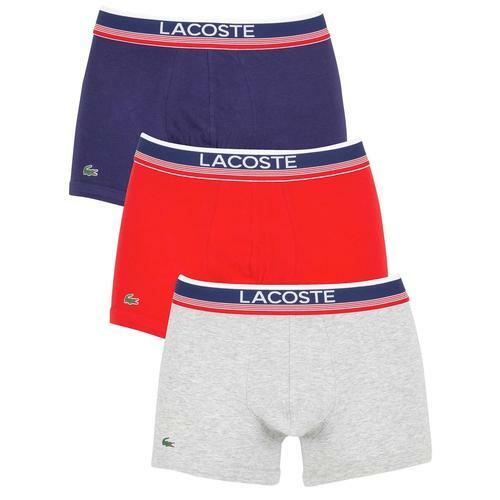 One pair plain blue with retro stripe waistband, one pair plain navy with retro stripe waistband and one pair multi stripe with navy waistband. Comes in a neat presentation box. Makes for a great retro gift idea. Ben Sherman 'Binks' men's retro 3 pack trunks. Plain and stripe combination trunks. Comes in a neat presentation box. SKU: U5_1208_BS Binks Ben Sherman 3 Pack Trunks.